Used to connect Component, Composite or SVideo Signals to the 9 Pin Vivo Port on the Video Card. For PC's video cards with a 9-pin Video-In/Video-Out VIVO connector. Connect them to your HDTV. 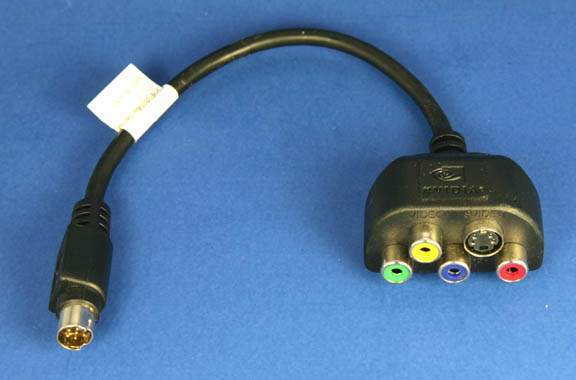 This adapter converts the 9-pin VIVO connector to Component (Y/Pb/Pr) out, Composite video out, or S-Video out.